Marvel continues to steamroll over the box office, even with a 56% drop in its second weekend. That doesn't matter so much when the opening weekend is nearly $300M, though, does it? Avengers: Infinity War earned $112M in its second week, but I think the biggest number is $1.1B, which it earned in only 11 days, the fastest in recorded history. The $112M is the second highest for a second weekend ever, though. Already it stands as the 15th highest-grossing movie in history and is only just getting started. 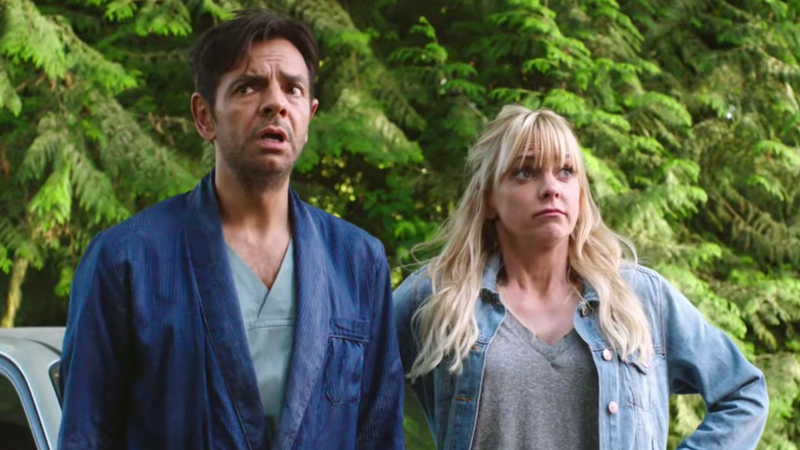 This will come as a surprise to some, but the poorly reviewed Overboard remake is a hit, and Anna Faris isn't the reason why. That would be Mexican star Eugenio Derbez, who has proven to be a reliable box office force previously with How to be a Latin Lover ($61M), Instructions Not Included ($100M) and Miracles from Heaven ($73M). The gender swapped remake of the Kurt Russell and Goldie Hawn comedy from 1987 didn't get screened for critics but again, this is why it helps to have a star like Derez on board whose audience doesn't care what Rotten Tomatoes says. Jason Reitman and Diablo Cody's Tully opened to a disappointing $3.1M on over 1300 theaters. The Young Adult reunion stars Charlize Theron as a mother of three who is gifted a night nurse played by the wonderful Mackenzie Davis. This is one of the year's best movies and the reviews reflect it, and I'm convinced this is a matter of bad timing. I expect we'll be hearing about Tully throughout the year as one of those quiet gems, and hopefully audiences catch up with it in the coming weeks or on home release. I don't know what the expectations were for the small-scale thriller Bad Samaritan, but surely this wasn't it. The Dean Devlin-directed film boasts only one "big" name, David Tennant, who is genuinely great as a deranged killer in this surprisingly solid crime movie. It opened in over 2000 theaters, which is more than Overboard and Tully can say, and yet only earned $1.7M for a pathetic $876 per site. That's the 8th worst opening ever for a movie in over 2000 locations.